I'm really on a roll with GLL posts this week! 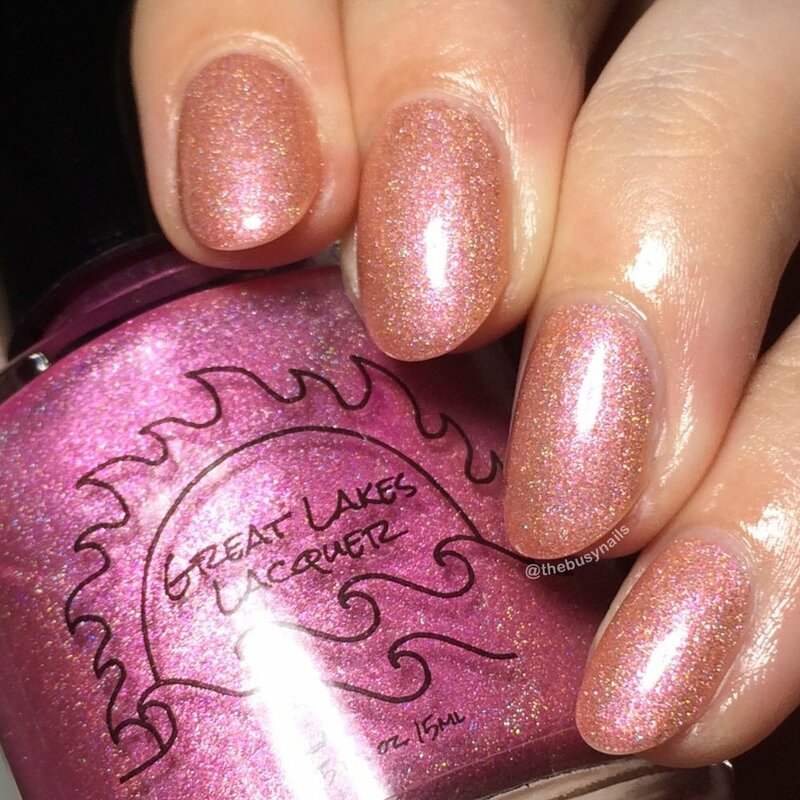 Check out my posts on the September LE's and Polish Con shades if you haven't already - many of those will be available during the same window as the thermals I'm about to share with you. From the maker: A four piece collection of thermals, themed around things that I need to remind myself of sometimes. Perhaps they'll help you too. I really love this concept as well as the polishes themselves! 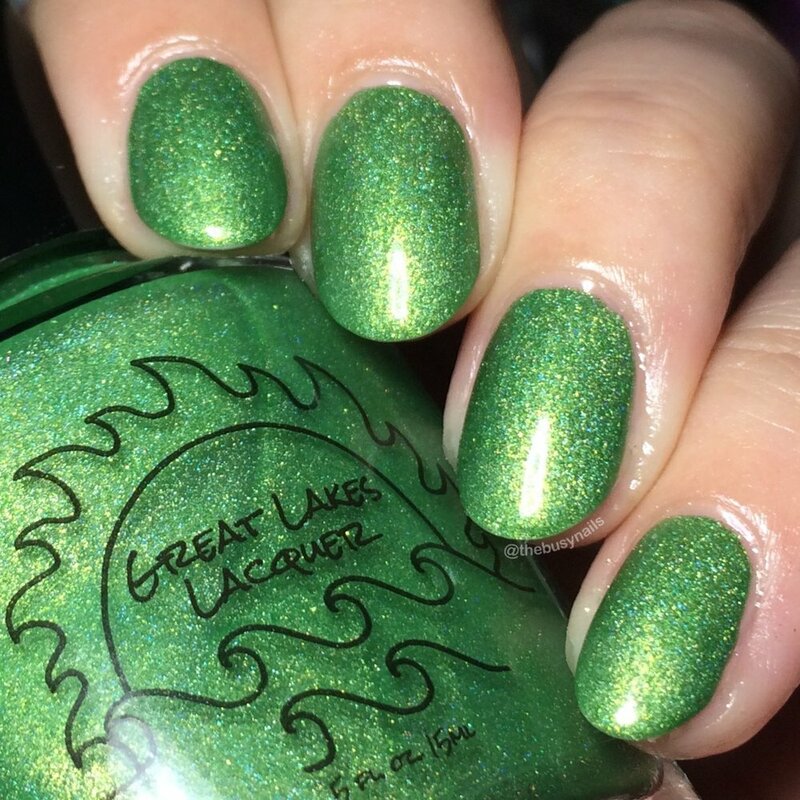 The Great Lakes Lacquer "Notes To Self Collection" will debut at Polish Con (9/23 in Chicago) for a special price of $35. Individually, they will be $10. 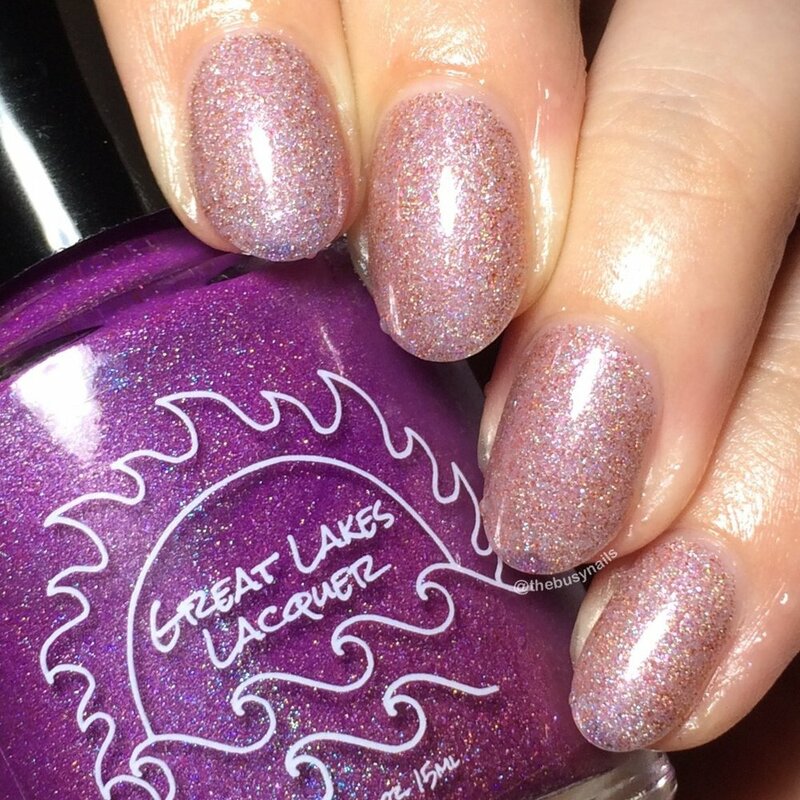 They will debut in the Great Lakes Lacquer shop on 9/30 at 2pm EST. In the shop, prices will be $38/collection with each one priced at $11. All photos in this post are taken under artificial light. I used Sally Hansen Diamond Strength bas coat and all are topped with Glisten & Glow HK Girl topcoat. These polishes were provided for my honest review. A Rose is a Rose. Unless it's a Peach. Taking things at face value while remembering to not judge a book by its cover. A tea rose pink with peach shimmer and a soft linear holo that transitions to a peach with orange/bronze shimmer. So as not to repeat myself, let me just say that all of the cold states are such pleasant, happy shades, while the warm states are gorgeous neutrals. For this one in particular, the warm-toned neutral combined with the happy pink of the cold state make it such a wearable thermal. Better coverage than I expected too! Most thermals I've used require 3 coats but I easily had full coverage in just 2. Finding me. Being me. Improving me. Best. Thing. Ever. A triple transition at times! A purple filled with pink shimmer with flecks of blue and a soft linear holo that transitions to a soft blue in between (occasional) and a rose gold with flecks of copper. The cold state of this purple has just enough pink in it to keep it fun and unique. (I have a weird aversion to medium purples.) I even managed to capture that elusive third state in the last two photos. This one offers a wide variety of shades depending on body temperature and air temperature. Very pretty! I caught a bit of that sneaky third shade here where you can see the pale blue/lavender. A reminder that the sun will shine again. And yes, a homage to a certain movie that I love. A sky blue thermal that transitions to pale gray with copious pink shimmer and a soft linear holo. A rainy day blue in the cold state, and a cool neutral tone in the warm state. It's very wearable without being in-your-face blue. For this one, I prefer the warm state. (SHOCKER - I love all the greys.) This was the sheerest of the bunch for me and required 3 coats for good coverage. I love the pink shimmer! In this photo, my pointer and middle finger are mid-transition, so only the tips show the truly warm state. Comparing myself to someone else does no good as I have no idea of their struggles. I must compare myself to me. A brilliant lime green saturated with gold to green shimmer and a soft linear holo that transitions to yellow gold. Such a happy green! I love the golden shimmer running through this. I definitely didn't expect to love all of the warm states as much as I do, and this one in particular is really pretty. It has a glowing warmth to it. Like "Rain", in this photo, my pointer and middle finger are mid-transition, so only the tips show the truly warm state. That wraps it up! I really enjoyed this little collection of thermals. They're fun shades, I love the more subdued warm states of all of them, and mostly, I love the overall message and concept. 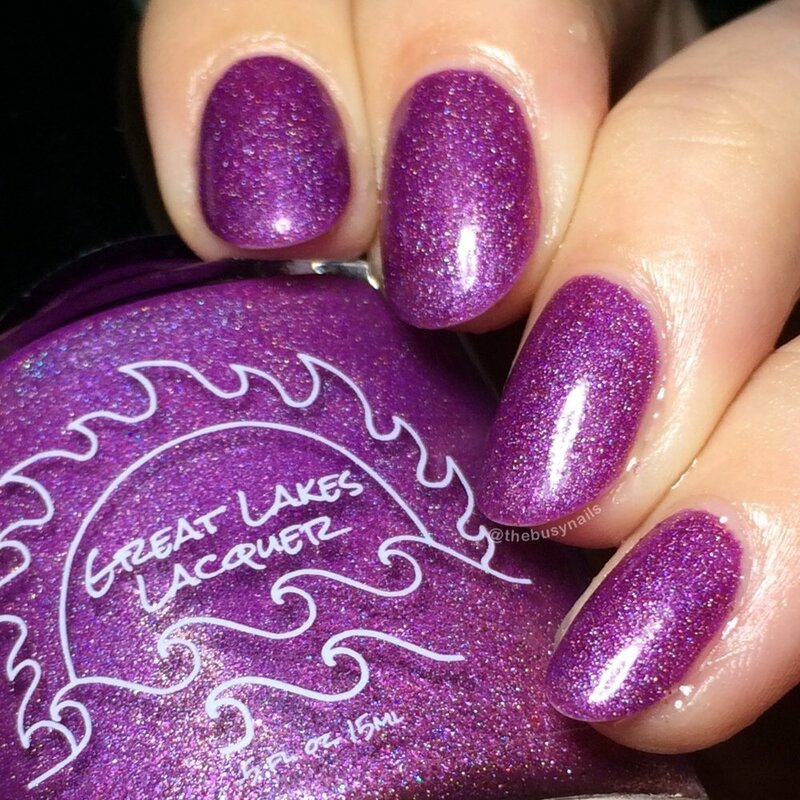 Don't forget to pick these up at Polish Con for a discount, or in the Great Lakes Lacquer shop on 9/30 at 2pm EST.